Disney parks and resorts have always had pins but in 1999 during the Millennium Celebration pins took on an entire knew meaning. Now you can trade with Disney Cast Members and guest in the parks and resorts. This is a fun and interactive way to get to know people from all over the world. There are many pins in the Disney parks to choose from. Pins celebrating a special occasion, attractions, theme parks, resort or character. Once you start collecting you really can't stop. The best part is that pin trading is very simple. All you have to do is when you are in a Disney theme park spot a Cast member with their pin lanyard and go offer a trade to them. And the best thing of all is that if you follow the pin trading guidelines to the left the Cast Member can not turn down the trade. When you head to Disney World think about getting started on pin trading. Pin trading is so much fun and gives you a chance to interact with other guests and cast members. 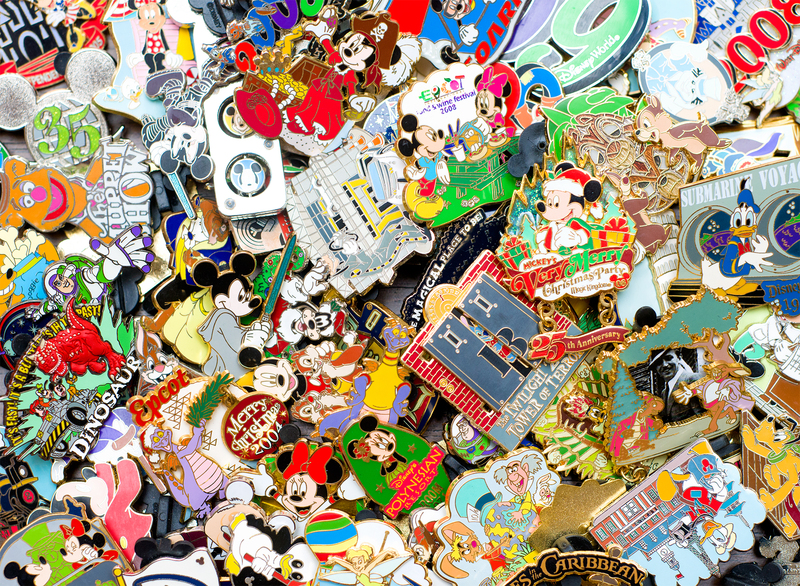 Read this page to learn more about Disney pin trading. It's really a fun experience. What is a Hidden Mickey pin? The WDW Cast Lanyard Collection was introduced in 2002 to encourage guests to trade pins with cast members. 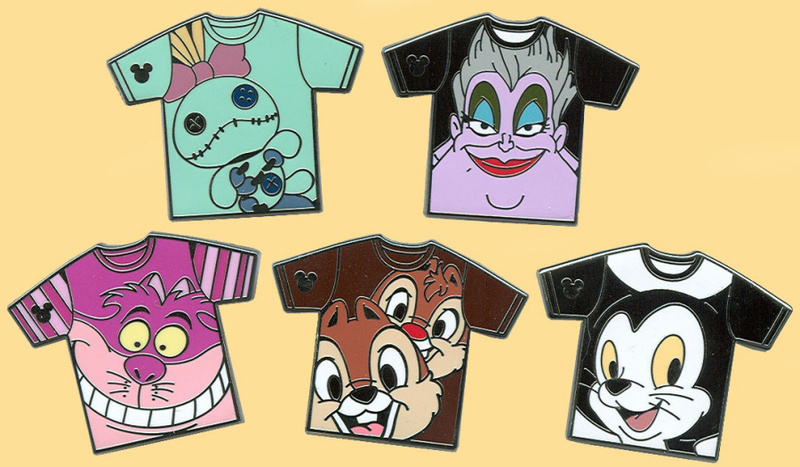 The first series of Lanyard pins consisted of just under 100 pins. Previews of the next year's Lanyard pins are at each September Event, with the pins officially distributed a few weeks later. "Disney's Cast Lanyard Collection" is on the back stamp of each pin in the first two series. Beginning with the third series, pin designers placed Hidden Mickeys on the pins after guests complained that it was difficult to discern Lanyard pins from the other pins on lanyards. In 2007, with the release of the fifth Lanyard series, the name of the series was officially changed to the Hidden Mickey Collection and a collection of 94 of the most popular earlier designs were reissued. Any pins offered for trade should be in good, undamaged condition. Guests should not offer a pin that is already displayed on the Cast Member's lanyard. 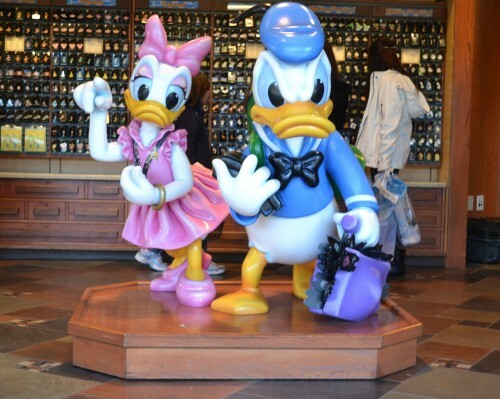 Cast Members may not accept money, gifts or receipts in exchange for Disney pins. Lower quality pins (plastic pins, rubber pins, other non-metal pins, etc.) should not be accepted for trade. Pins from other business units of The Walt Disney Company (i.e. ABC, ESPN) are accepted for trade. Operating participant pins that show a Disney, Disneyland® Resort, or Walt Disney World® Resort affiliation will be accepted for trading. Personalized name pins may not be traded with Cast Members. Broche-style or clasp pins are not accepted for trade. Disney service award pins, Spirit of Disneyland® Resort pins, Partners in Excellence pins, Disney language pins or Cast Member costume pins (i.e. nametags, tour guide pins, holiday/commemorative buttons) are not tradable.